I was so excited when I was contacted by Splashing Cow Books, a small publishing company out of Vermont to review their books written specifically for boys who are reluctant readers. This is a niche that is so neglected and I am so pleased that someone is filling that niche with quality books! I immediately wanted to read, Jack’s Tales and yes, the reason why was the cover. I admit it! It looked fun and inviting. My youngest (age 6) wanted to start with This New World and my eldest (age 9) was drawn to The Mailbox Adventures #1: Treasure from Lake Titicaca. It was probably a good thing we all wanted to start with different stories. After my boys went to bed, I got in bed and dove right into Jack’s Tales. 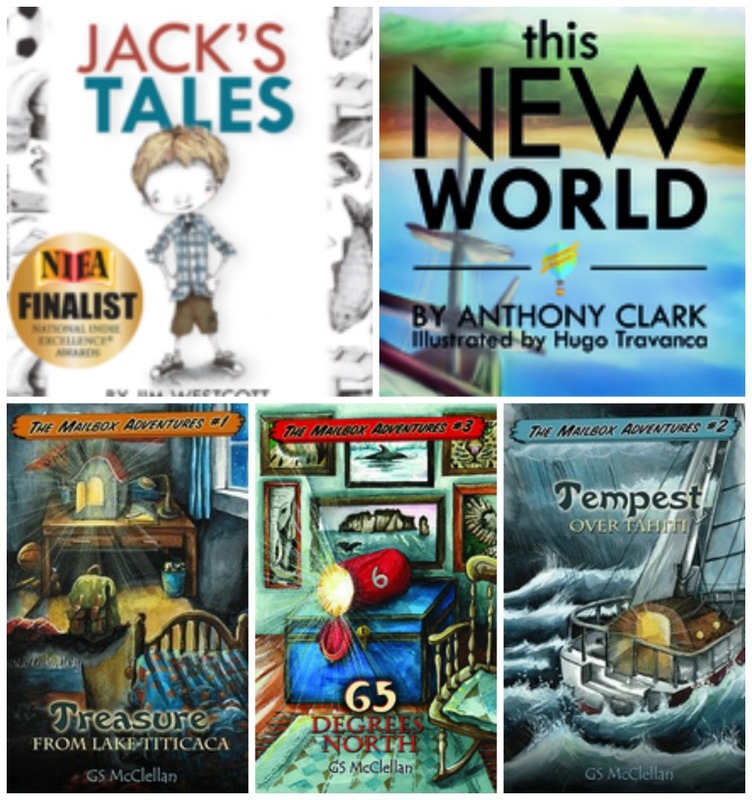 I love the short stories format and know that short stories appeal to boys and to reluctant readers. They have a definite beginning, middle and end and the story moves quickly. These stories did just that! They also had the “ick” and the scary factors- both again perfect for boys! The stories were simple and readable and I found myself turning pages quickly to see what happened next. It also worked well because after just 2 of the 3 stories, I was ready for bed. Tonight I will pick up at the third story and see how it all ends. This is the story my youngest and I are reading together. He is not yet a reader, but seems to be enjoying the story already and is making connections between what he is hearing in the story and things he has learned about at school or in his everyday life. This is a chapter book, but also has pictures every couple of pages which is always a bonus for any reader. My eldest son who is by no means a reluctant reader, but is actually a voracious reader, read this book in about an hour and really enjoyed it. He said, “I liked the book because the boy was caring and kind and brave. I would recommend this book to someone who likes adventure and magic.” Over the next two evenings, he whizzed through the other two Mailbox Adventure books we received and enjoyed them just as much! As a family, we are looking forward to discovering other new books from Splashing Cow Books! Check them out! This is a wonderful blog! I want to thank you for reviewing Splashing Cow’s books written mostly for boy reluctant readers. I’m so glad that you liked Jack’s Tales. I’d love to hear what you think about the third story, Jack’s Save, and how the book comes together for you and possibly for readers. My entire writing focus is writing for boy reluctant readers. My second Jack’s Tales book (it’s a series) will be finished this summer. I see that you are an elementary teacher. 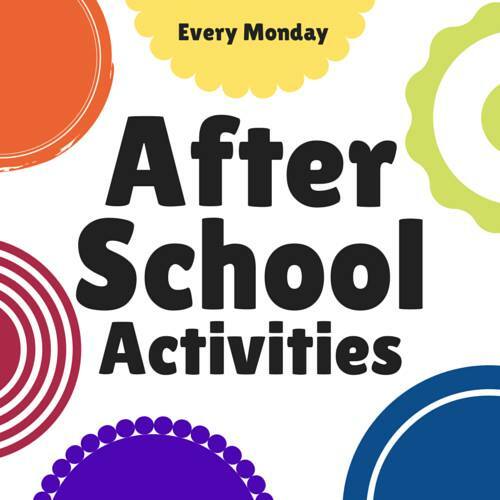 I taught fifth and sixth grade as a special education teacher for ten years and five years at the secondary level. I’d love to connect somehow. 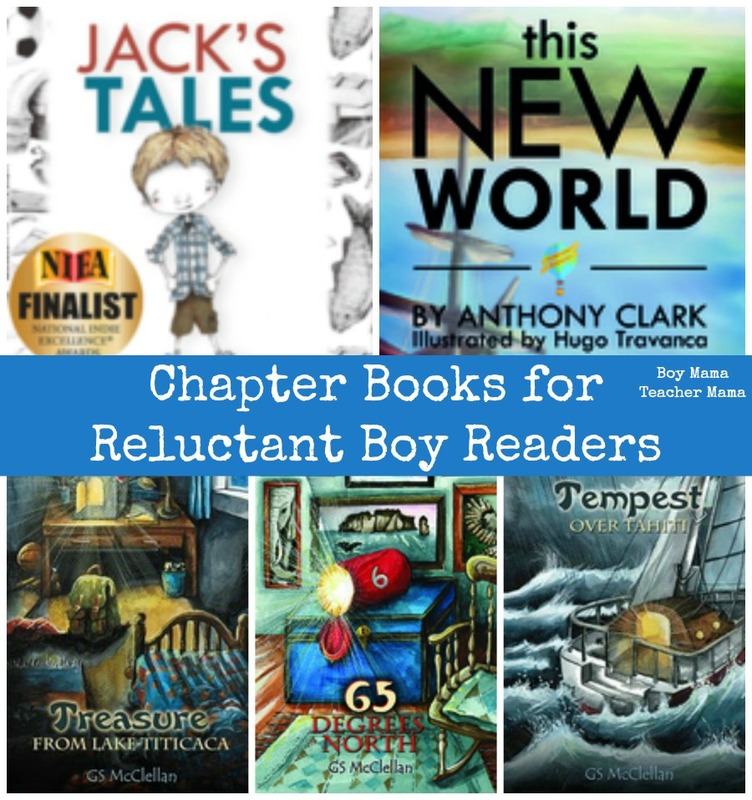 I’ve written guest posts for other bloggers regarding boy, reluctant readers. Would this be something of interest to you? At any rate, I’d like to keep in touch, and again, thank you for the great review!